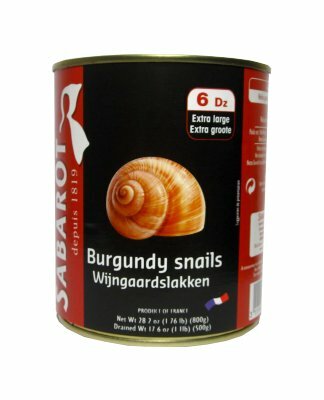 Sabarot has carefully selected and cleaned its Burgundy Escargots to offer chefs and gourmets, all around the world, top quality snails. The snails can be served in shells, or can be added to vegetables in order to cook delicious dishes. 4 years from the manufacturing day. Size (in): L 12.1'' x 8.1" x H 9.3"
© 2019 French Food Exports Inc. All rights reserved.